Peter Carey’s novel A Long Way From Home (Penguin) has been shortlisted for the UK’s Walter Scott Prize for Historical Fiction. 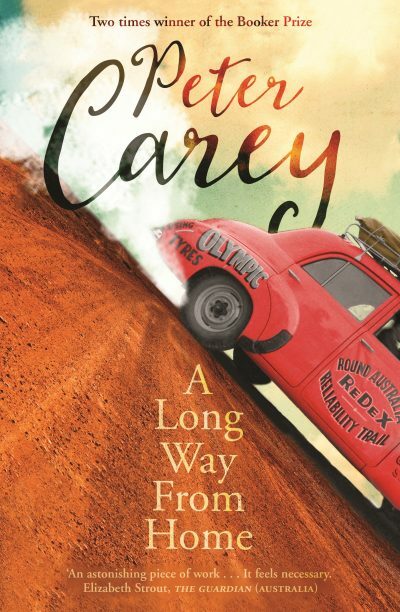 Set in the 1950s, A Long Way From Home follows a couple competing in the Redex Trial race around Australia. It was previously longlisted for the Miles Franklin award, and shortlisted for the ALS Gold Medal and the Prime Minister’s Literary Award for fiction. The Long Take (Robin Robertson, Picador). Now in its 10th year, the Walter Scott Prize rewards ‘writing of exceptional quality which is set in the past’. In March the Walter Scott Prize Academy released its annual list of recommendations, which included books by Australian authors Peter Cochrane (The Making of Martin Sparrow, Viking) and Elise Valmorbida (Madonna of the Mountains, Faber). The winner of the prize will be announced on 15 June at the Baillie Gifford Borders Book Festival in Melrose, Scotland. For more information visit, the website.